Home › Energy-Efficient LED Lighting › Annt Multifunctional Intelligent Led Portable Moving Camping Fishing Emergenc..
Annt Multifunctional Intelligent Led Portable Moving Camping Fishing Emergenc..
Energy-saving and environmental protection: This moving light uses an LED light source to conserve energy and protect your eyes. It is also brighter than 15w incandescent lamp. Versatile: Our unique design can keep you well-lit for up to 5 hours on the highest setting or 50 hours on the weakest setting. Portable: This moving light uses high quality materials so it is break resistant and can go where you need it to go. Brightness Design: Adjust the brightness with the touch of a finger and instead of using a pesky outlet, you can charge this moving light with a micro USB. 100% ANNT Guarantee: 30 Days Money Back and 1 Year Limited Warranty. ANNT LED Lamp Product Specifications: Color Temperature: 6500K. (Cool Color). Charging time: 3-4 hours. Stay on while charging. Color: White Material: ABS + PC, resistance to impact and breakage. Fingerprint touch; adjust the brightness according to your needs. It has a strap under the base for easy carrying. 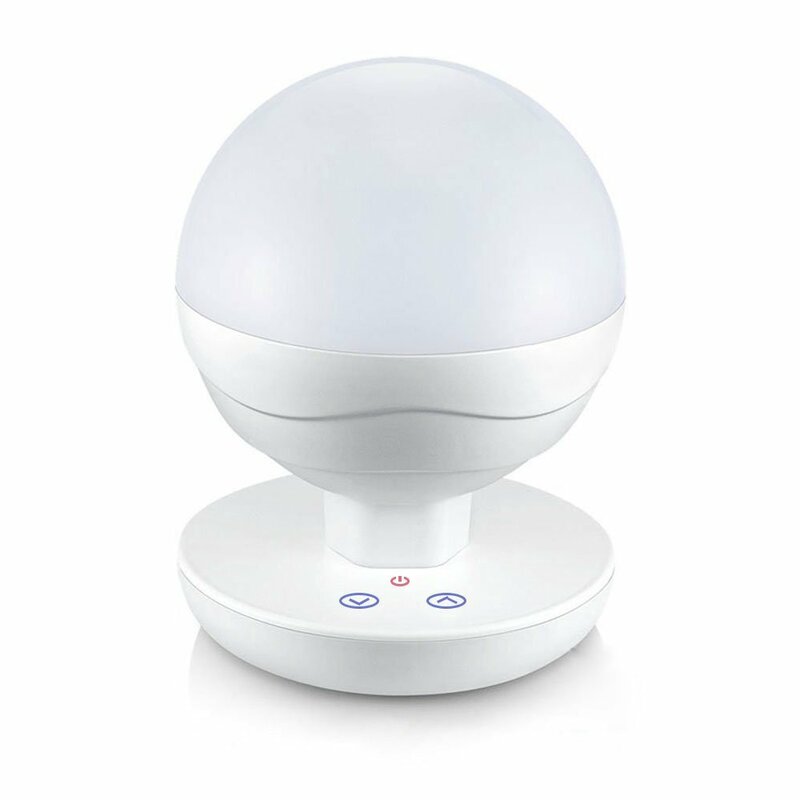 This smart light will automatically remember the last setting brightness youused when you restart it. Built-in high-capacity lithium battery, it can last lighting 5 hours (Thestrongest light) - 50 hours (The weakest light) in the state of full power.Service life>5000h. Features: Basic desk light for reading or working. Use it to light your dinner table for a special twist on the usual candlelitdinner. Bring it camping or hiking with you. Need to take a quick walk outside with your dog. Bring our moving light withyou. Use it during a power outage. It can light the way for you. Use as a night light for your young children. You can adjust the brightness sothat it won't interfere with their sleep. Package Contains: 1 x Multifunctional intelligent LED moving light 1 x USB charging cable 1 x User manual ANNT Guarantee: 100% ANNT Guaranteed Product Satisfaction. 30 days money back, you can contact us anytime from the date of purchase, wewill try our best to provide you the best service.